How do you tell the story of a church that started 25 years ago? You let the members share their memories and tell a story of how the church made an impact in their lives. We built a site that will allow you to tell that story through a simple written testimony, an image or a video. 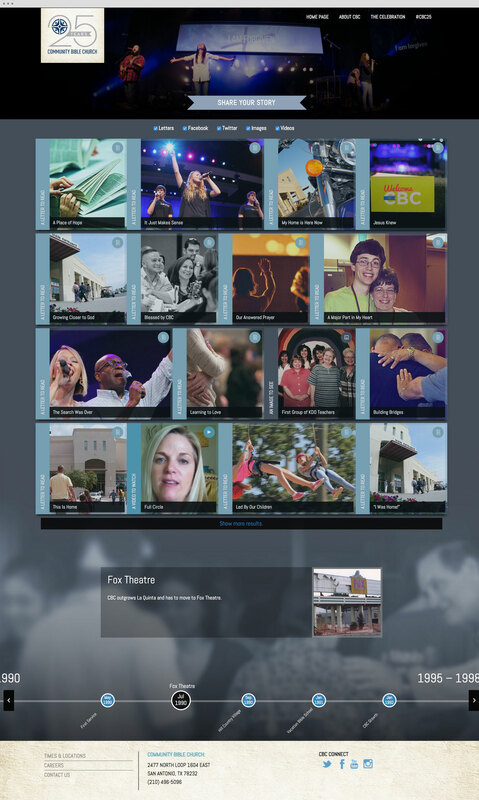 The site was populated with material from church including some video testimonies from the staff.